NEW EMERICA FOOTWEAR & NIXON WATCHES!!! 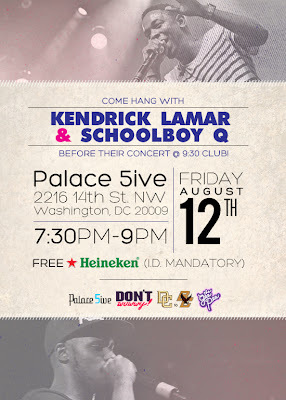 KENDRICK LAMAR IN-STORE FRIDAY, AUGUST 12, 2011!!! Come meet & greet these two rising talents before their performances at the illustrious 930 Club. SUMMER CLEARANCE SALE THIS WEEKEND! LOW LIFE TOUR WEDNESDAY! SUMMER CLEARANCE SALE! - THIS WEEKEND ONLY! - WANTSOMEGETSOME! This is the biggest sale we've done in a while, so don't miss out! 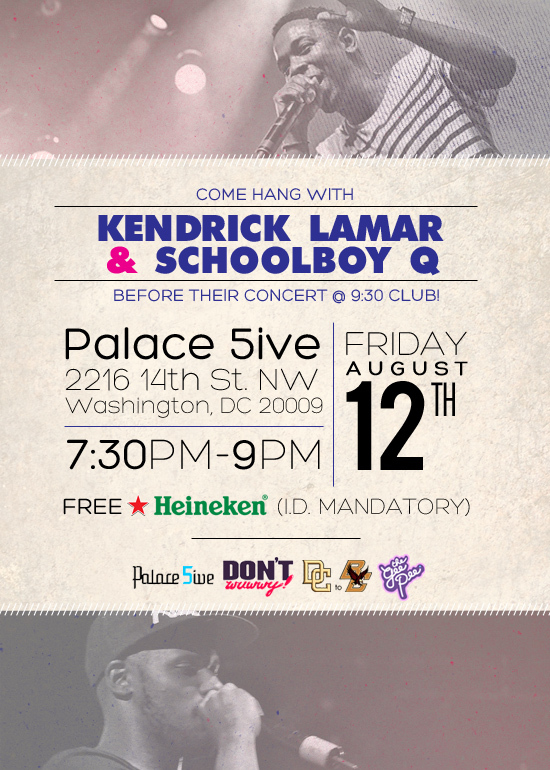 AUGUST 17TH AT PALACE 5IVE! DEATHWISH - "LOW LIFE TOUR 2011"
WASHINGTON, DC -- AUGUST 5, 2011 -- In tune with the city’s recent artrenaissance, local lifestyle brand DemiGODS, LLC will present Mighty Aphrodite, aconceptual fashion and art performance event on Saturday, August 20 at 7:30 PM atWonderbox, a gift factory turned creative gallery space located at 79 Hanover Place, NW. The creators of DemiGODS teamed up with DC-based event producer Quincy Jones,who visualized the idea of a live fashion and art show. “Our guests will see everythinghappening in the moment; the making of a fashion show as live art. Hair, makeup,styling, dressing will all be done in front of the audience. A muralist paints fromscratch—fascinating, live performance art striking an intimate balance between voyeurand performer,” says Jones. By removing the mystery of the studio and backstage, MightyAphrodite introduces the district to a new, raw kind of performance art. Area retailers have become hip to this novel concept. Rag & Bone, Tari, It’s VintageDarling, Palace 5 and others have teamed up to lend looks for the night. Other sponsorsinclude Paul Mitchell School Tyson’s Corner, as well as Falcon Printing. The showingwill also include live food demonstrations from local eateries. DJ Spinser Tracy will be on board to not only provide the beats, but to perform as well.His entire live set will become a mixed tape available for download immediatelyfollowing the event. Smith Commons mixologist, Khalil Muhsin, will man the bar asguests take in the live art experience that even features a local fire eater. Tickets to attend Mighty Aphrodite are $20 and include a three-hour Belvedere Intenseopen bar; tickets without open bar are free, but attendees must register on Eventbrite. Aportion of the proceeds will benefit City At Peace, a local performing arts organizationdedicated to cross-cultural understand, conflict resolution, and violence prevention. For more details, please contact Quincy Jones at q@quincyjonesevents.com. Tickets maybe purchased online at http://aphroditewho.eventbrite.com. NEW BRIXTON, CLARKS & NIKE SB!! !